Tarek gave us an excellent tour of the Giza plateau (pyramids, solar boat museum, and Sphinx) and arranged for us to ride into the Sahara to gain the best view of all of the pyramids. 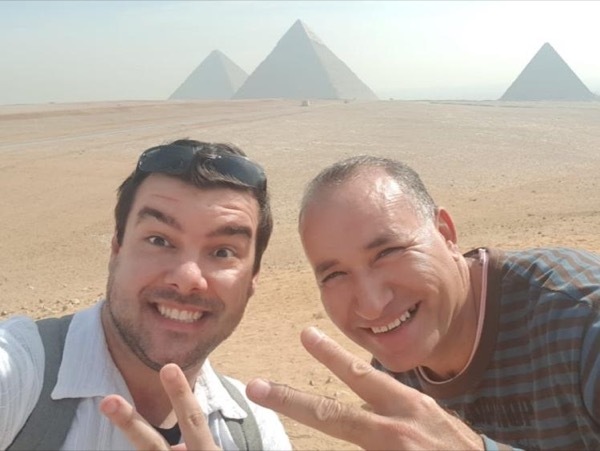 He was very accommodating and extended our half day tour to include a trip to Dahshur and Saqqara to see the Bent Pyramid, Red Pyramid, and Step Pyramid. Tarek was extremely knowledgeable about all the sites, answered our questions in detail, and clearly has a deep understanding of ancient Egypt. Tarek's a great guide! TOUR GUIDE RESPONSE: Thank you very much for having taken the time to provide a review. That's really nice of you. Looking forward to seeing you once again in the future.